The DFL Deutsche Fußball Liga generated a record result in the tender of national media rights and has exceeded for the first time the threshold of, on average, one billion Euro per season. A total amount for the four seasons from 2017/2018 to 2020/21 of 4.64 billion Euro means an average of 1.16 billion Euro per season. This corresponds to growth around 85 percent compared to the current license period. There has been an increase by 285 percent since the season 2005/06. A further increase in revenue from international marketing is expected. The DFL will accordingly generate in the coming rights period total media revenues on average of at least 1.4 billion Euro per season. The DFL offered a total of 17 rights packages containing matches of the Bundesliga and the Bundesliga 2 as well as the relegation matches and the Supercup in an open, transparent and non-discriminatory tender for which the Federal Cartel Office had given the green light on 11 April 2016. Sky acquired in the pay field the Saturday conference, the live matches of the Bundesliga on Saturday and Sunday as well as the complete Bundesliga 2. Eurosport secured for itself a live package which includes, among other items pay rights for the matches of the Bundesliga on Friday evening as well as the relegation matches and the Supercup. The summaries of the Saturday and Sunday matches of the Bundesliga will also be able to be seen in the future in ARD. ZDF was successful in the area of live rights in free TV, including for the Supercup as well as the home and away rounds for the opening match, in addition to the secondary use of the Saturday matches. 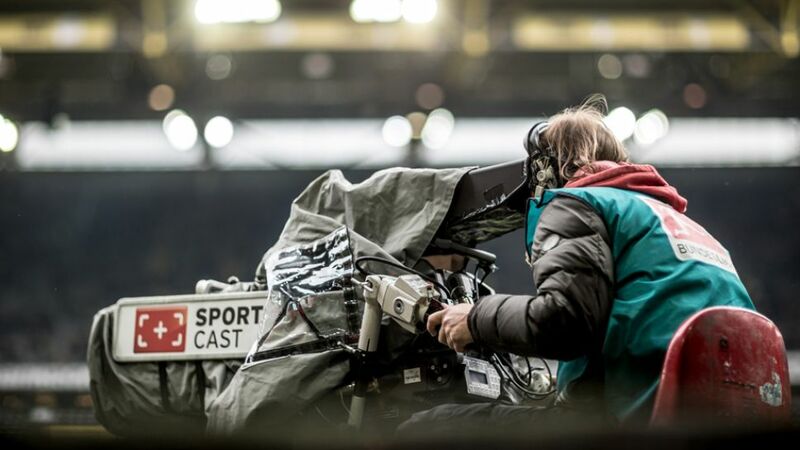 The Perform Group, which will soon start a streaming offering with sports content, was awarded the internet clip rights for the first time, while SPORT1 has the right to show the Bundesliga matches from Friday and Saturday in secondary and tertiary use Sunday morning. Two packages have not yet been awarded: the highlight summaries of the Bundesliga 2 in free TV on Friday and Sunday as well as a package for a follow-up free TV summary on Monday evening for all Bundesliga matches in the just then concluded match day. A decision about the exploitation of these packages will be made at a future point in time because the offers received so far have not met the DFL's expectations. The award of a so-called OTT ("over the top") package which could only have become relevant if a single buyer had acquired all Bundesliga live packages. will not take place. "The result of the tender is an important step in light of the future viability of top-level German football. The Bundesliga now has established the best foundation for belonging to the three strongest football leagues in the world in terms of revenues and will accordingly be able to present top-level sports at the highest level. At the same time, the invested amounts are a great statement of trust. We will honor this for the Clubs in the coming years," said DFL CEO Christian Seifert. "This means for the viewers that German top-level football will be able to be seen also in the future in established broadcast windows, and this will be with both established media partners as well as new media partners." "The completion is good news for German professional football. Major economic foundations for a continuing positive development have been set for the coming years. The decision about how to allocate the revenues will be made in the coming season. The current management board of the League is in agreement that the new election of the board by the general meeting scheduled in August should be awaited and that this board will then have to deal with this task which is by no means simple. Despite the various different interests, all clubs should have a common interest in generating as amicable a solution as possible," said league president Dr. Reinhard Rauball. The audio rights for the territory of the Federal Republic of Germany were also awarded. ARD was successful here in the category "FM", and Amazon was successfully in the category "web/mobile". This is the first time that Amazon has been a rights holder in a major football league. Download the rights package deals as a PDF (German only).